What is the “Cloud”? Cloud computing is network-based computing in which large groups of remote servers are networked to allow the centralized data storage and online access to computer services or resources. 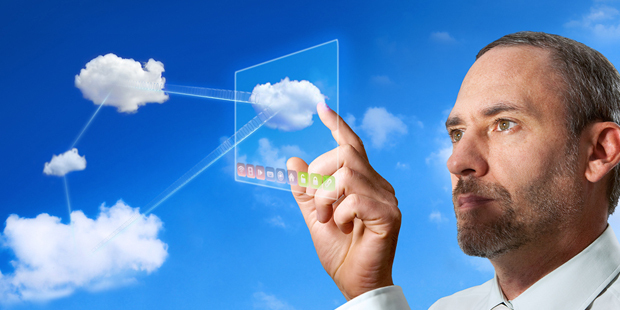 Take your business to the next level with cloud computing! This affordable solution integrates, streamlines and boosts productivity. Employee collaboration and innovation becomes more transparent and with the proper credentials, employees can work virtually from anywhere! Who uses Cloud Computing? Companies that are worldwide, transcontinental or small home based offices, who understand the importance of forward thinking technology business practices. We understand that moving technical cloud management operations out of your hands can be intimidating, rest assured, we’ve got your platform safe and secure. Flexibility – Alter storage space as needed. Reliability – Highly trained and knowledgeable team. Performance – Refined infrastructure and process. Peace of Mind – 24/7 IT Support. Cost Effective – Flat rate on IT Services. Today most companies own their software and hardware and keep them on the premise. With cloud services, companies lease their digital assets, their employees don’t know the location of the computers, data centers, applications and databases that they are using. Now businesses don’t have to concern themselves with details they just rent what they need. Moving your business to the cloud allows IT services, such as the management and maintenance to be handled via the internet. If one computer goes down and needs repair you don’t have to worry because you can use any computer to login to the cloud and continue to work with no down time on your end. need from the cloud. Click here for you FREE CLOUD TRIAL!